They may have been the scourge of the 1990s Web, but animated GIFs have practically become Internet royalty in 2014. When emoji and exaggerated selfies just don’t cut it, a well-timed GIF can make the difference between a Messages snoozefest or a laugh-out-loud lunch break. But you don’t have to let CW characters and celebrities hog the spotlight: You can make GIFs of yourself and your own exploits with GifMill. GifMill provides you with tools and a timeline to help you make quick, delightful gifs of your videos and images. I sometimes make GIFs in my secret superhero roller derby life, and I downloaded this app on a whim to see if it could help me film quick training examples. Answer: Yes, and super-easily, to boot. To start, GifMill lets you import either video or still imagery from your Camera Roll; from there, you can doctor it by changing the speed, the quality, or the size; positioning it in landscape or portrait; changing the playback (forward, backwards, or palindromic); or adding text (with a $1 in-app purchase) or filters (a few are included by default, and you can purchase the rest of the set by spending $1). The app offers impressively-specific controls despite the iPhone’s limited viewscreen, letting you scrub through and doctor individual frames—and even delete certain ones if the GIF isn’t flowing as nicely as you’d like it to. Change the speed, quality, size, or orientation with GifMill's basic controls. 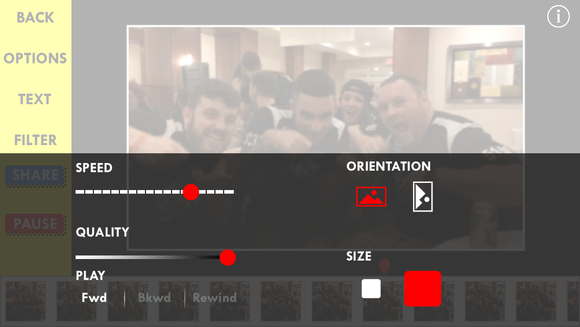 You can export your finished product to the Camera Roll, via email or Messages, and even Tumblr. The latter is my favorite, in part because GifMill will automatically resize your GIF to fit within Tumblr’s 1MB limit and offer a few different versions for you to pick from. GifMill’s only real weakness is that it won’t let you save projects to work on later; if you leave the app while in-progress, you can recover your current GIF, but return to the start screen and you’ll lose your creation forever. 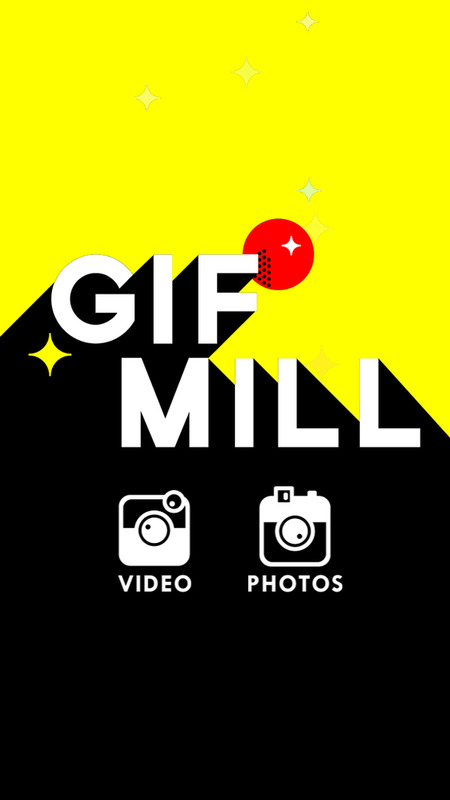 Making GIFs in GifMill is so quick, however, that it’s rarely an issue—you just have to remember to save your GIFs before exiting. 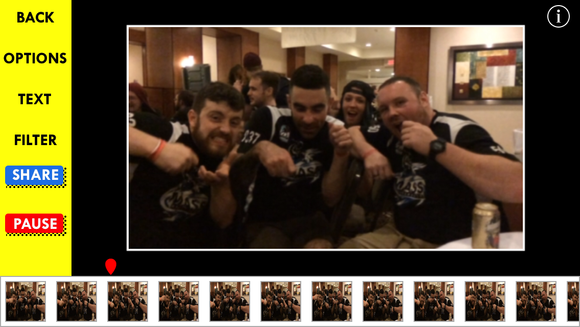 Peak Systems's GifMill is a quick and easy way to make animated gifs on your iPhone from video or images and share them with friends.